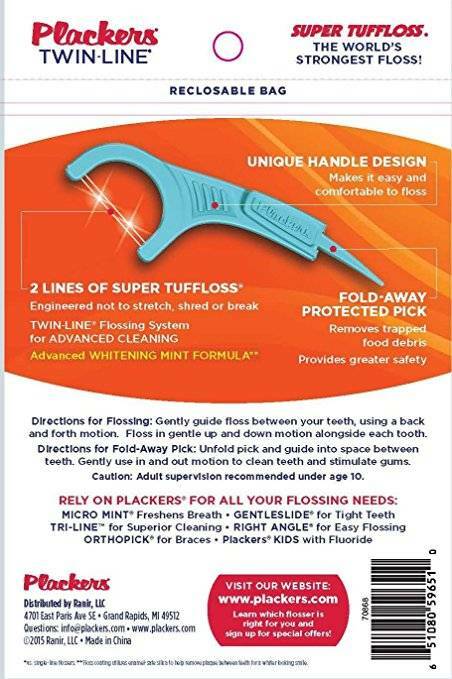 Plackers® Twin Line® Whitening Floss Picks is revolutionary, with its unique and patented double line flosser. 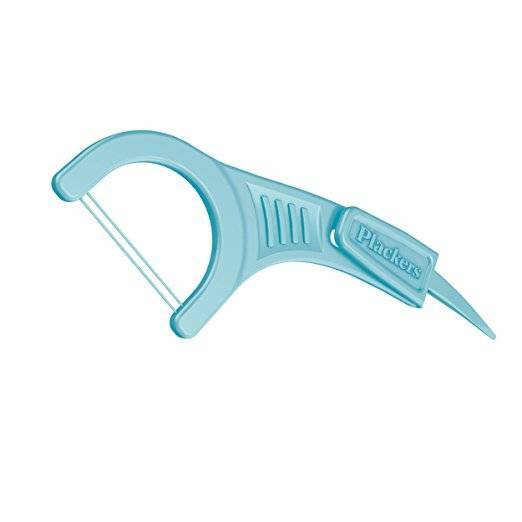 The double line flosser is twice better at removing plaque and food particles that are hard to reach. 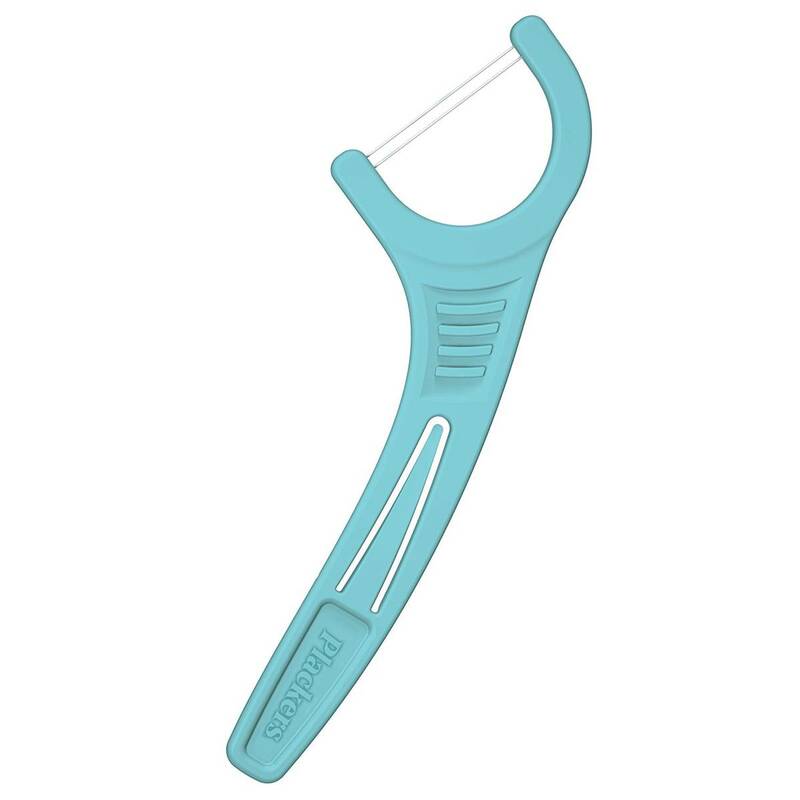 Each line of floss has enough slack to be gentle on the gums. The floss is made from one of the strongest materials to help keeping your teeth free of particles. Also has a mint flavor that gives you a nice clean feel. The product is designed with a whitening formula to give you better-looking teeth. 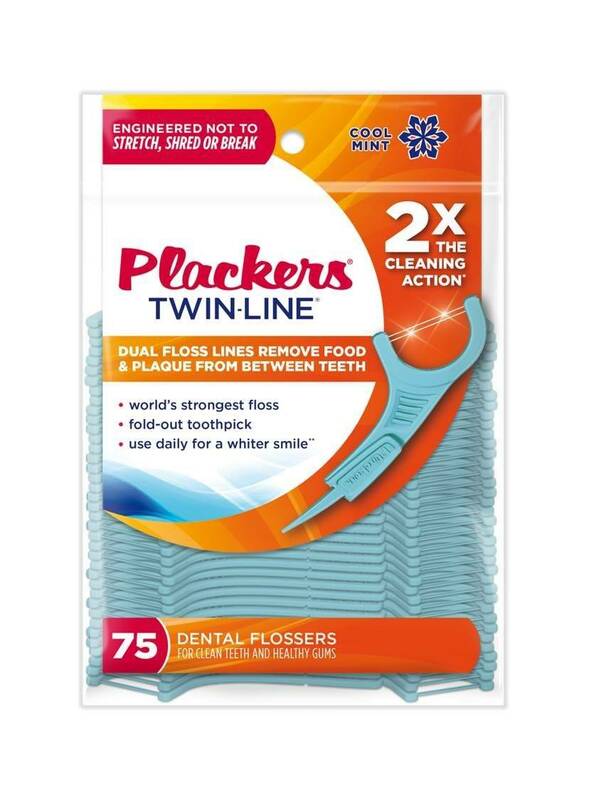 A Closer Look: Plackers® Twin Line® Whitening Floss Picks is made with Super Truffloss®, a strong material, to remove detritus and plaque from hard to reach areas.